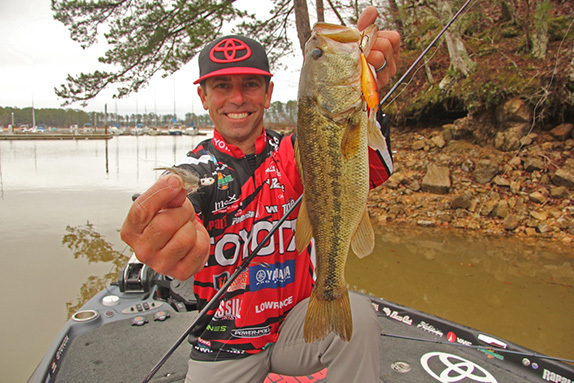 When water temps are in the 50-degree range or below, Mike Iaconelli relies subtle baits like a Shad Rap and a 1/8-oz. hair jig. Maybe it�s because he played ice hockey from grade school through his sophomore year of college, or perhaps it�s because the former right winger grew up in the cold climate of metro Philadelphia and is simply comfortable in frigid weather. Whatever the case, whenever there�s a cold water tournament, Mike Iaconelli is always a good choice for your fantasy fishing team. 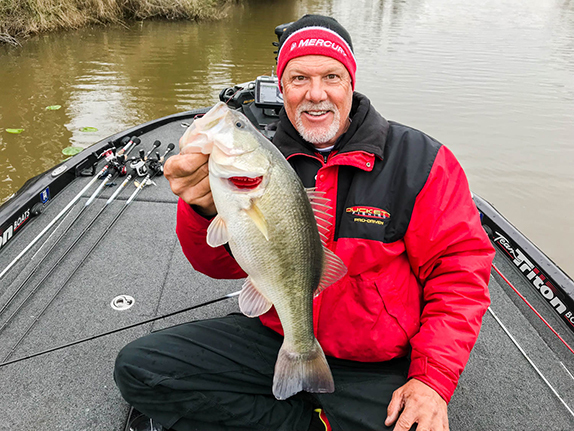 The animated Toyota pro always seems to excel in cold-weather derbies � and there are two lures he never leaves home without when water temperatures are below 50 degrees. Iaconlli said he's had a Shad Rap at the ready in every winter tournament he's ever fished. "You just don�t leave home without that lure in winter,� he insists. �I think there are two reasons why a Shad Rap works so well in really cold water: It has a super tight wiggle and it�s silent � both of those qualities are a good match to the natural shad population that is super lethargic or close to dying in winter." 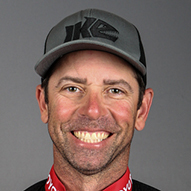 Iaconelli packs two colors of Shad Raps (craw colors and shad colors), but where he differs from most anglers is that he travels with a wide variety of sizes of the famed lure. While most anglers carry only the size 5 or 7 Shad Rap, Iaconelli carries larger versions, too, in order to match all desired depths, and typically ties all of them to 6-pound fluorocarbon on a spinning reel. �I carry the size 5 for depths around 4 feet, the size 7 and 8 for depths of 6 to 10 feet, and I also carry the really large size 9 Shad Rap that very few people carry in order to reach depths of 10 feet or more,� he said. 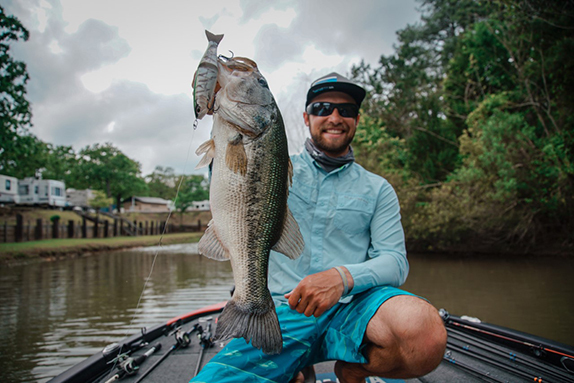 The sight of pro angling�s most amped-up angler fishing a hair jig sized similar to a fathead minnow, and nearly too small for a camera to find focus on, seems to be a bit of a paradox, sort of like an Eagles offensive lineman leaning on a Happy Meal for dinner. He has tried bucktail and deer hair, but he favors the synthetic hair tied on a tiny 1/8-ounce jig head because he swears the synthetic hair slows the fall of the jig better than other types of hair he�s tried. 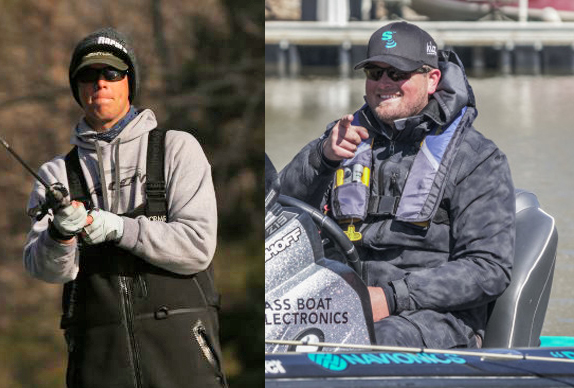 lethargic on the bottom,� said Iaconelli, who notched a top-30 finish using both of these lures in the cold waters at the recent Lake Martin Bassmaster Elite Series.